Diwali sweets recipes – A collection of 100 diwali recipes. Diwali or Deepavali, the festival of lights is celebrated on the no moon day (amavasya), that falls in the month Karthika or karthik. This year it falls on 7th Nov 2018. On this day, Godess Lakshmi, the goddess of wealth, prosperity and Love is worshiped with great devotion and celebrations. It a day that brings light, joy and happiness to our lives. Celebrations include decorating the homes, wearing new clothes, bursting crackers and cooking delicious and toothsome foods. Preparing, enjoying and distributing delicious sweets and snacks among family, friends, neighbors and relatives is one of the Indian culture that has been followed from ancient days. 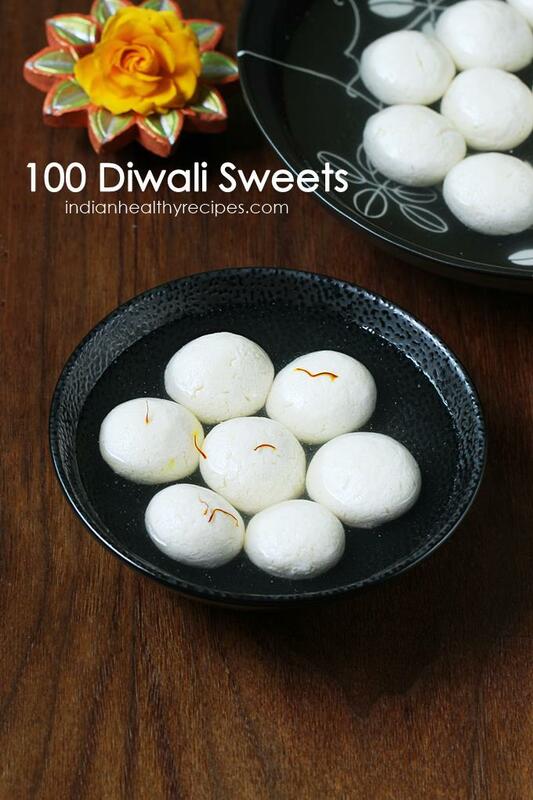 Here is a list of 100+ toothsome foods that includes diwali sweets recipes. You can also check this complete list of 150 Indian sweets recipes. 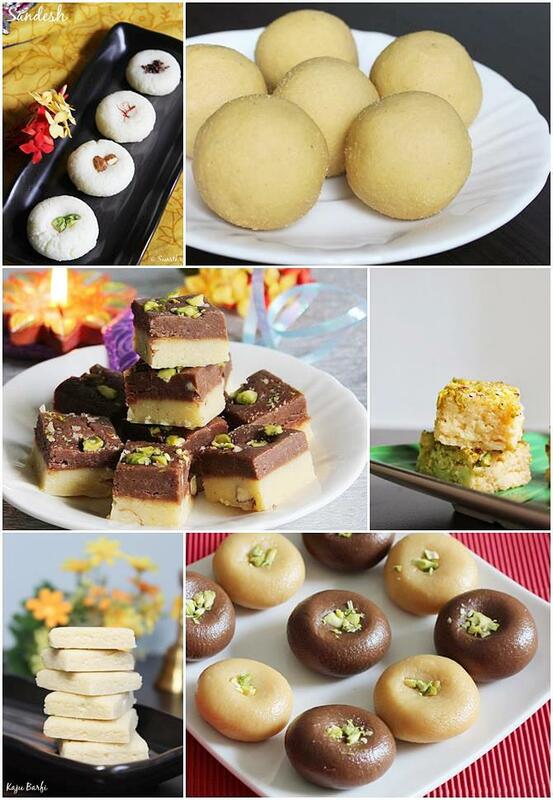 Diwali sweets recipes include popular bengali sweets like kalakand, rasgulla, rasmalai, chum chum, sandesh, chocolate sandesh. All time favorites like gulab jamun, peda, burfi varieties, kaju katli, halwa varities, kesari varieties, kheer or payasam recipes. More than 30 varieties of easy ladoo recipes are also included. Milk, flour, mawa/ khoya, sugar/ jaggery, semolina and ghee form the base of most delicious Indian sweets. 1. Jalebi recipe – Jalebi is a spiral shaped fried sweet that is crispy and juicy. 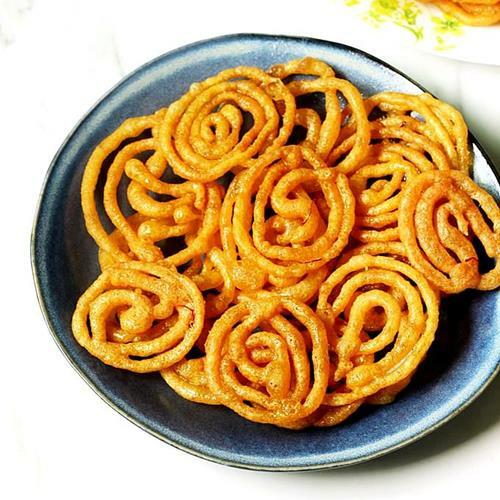 This post shares 2 methods of making jalebi. Traditional method & the instant method. 2. Gulab jamun recipe – Gulab jamun is a popular classic Indian Sweet that brightens up your festive menu. 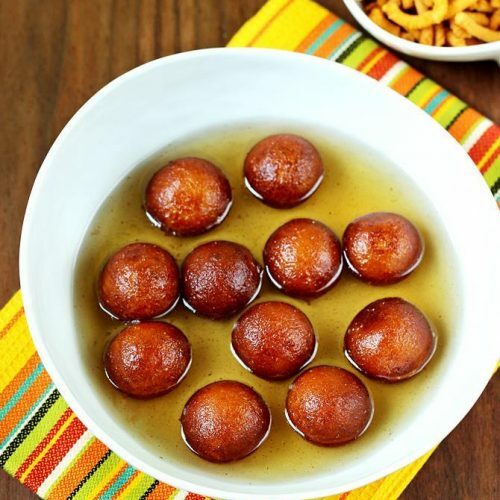 The recipe shared in this post guides you to make soft gulab jamuns that taste delicious. This recipe uses milk powder instead of khoya or mawa and is easy to prepare even by beginners. 3. Rasgulla recipe – Rasgulla is a soft, spongy and delicious dessert made of curdled milk and sugar syrup. It is a popular dessert from West Bengal & Assam. 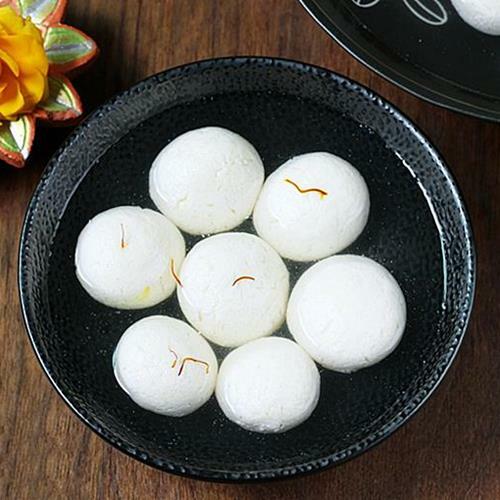 This post will help you to make white rasgullas that are light, juicy, spongy and soft. 4. 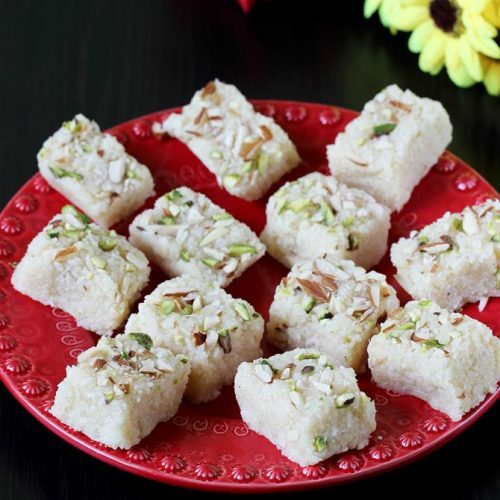 Coconut burfi recipe – Coconut burfi is a simple festive sweet made of coconut, milk and sugar. The recipe does not call for a string consistency so it is a quick one that can be made even by beginners. 5. 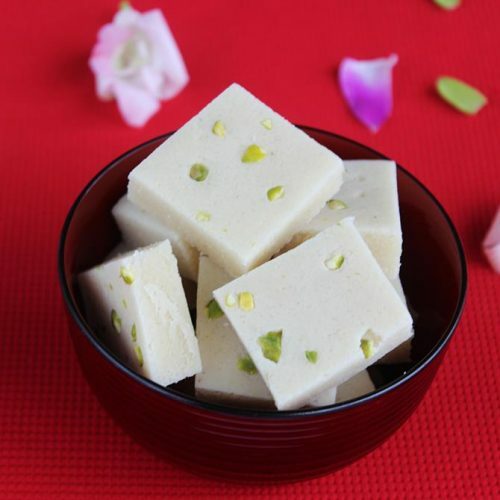 Kaju katli is a simple thin Indian fudge made of cashew nuts and sugar. This recipe will help you to make the best kaju katli that has a mouth melting texture. 6. Rasmalai recipe – Rasmalai is yet another popular Bengali sweet delicacy made with paneer or chenna discs. These discs are cooked in sugar syrup first to make them soft and spongy. Later served with chilled thickened milk. 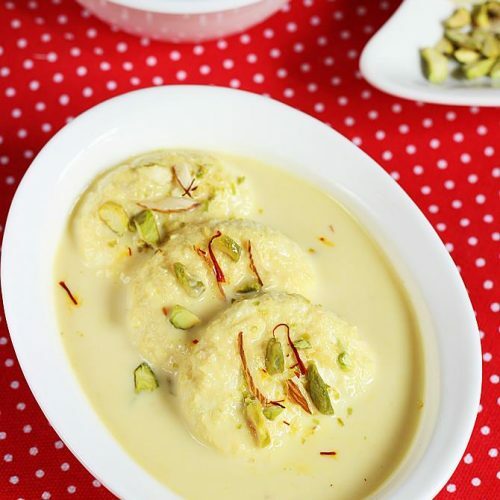 Make the best, soft and mouth melting delicious rasmalai this Diwali. 7. 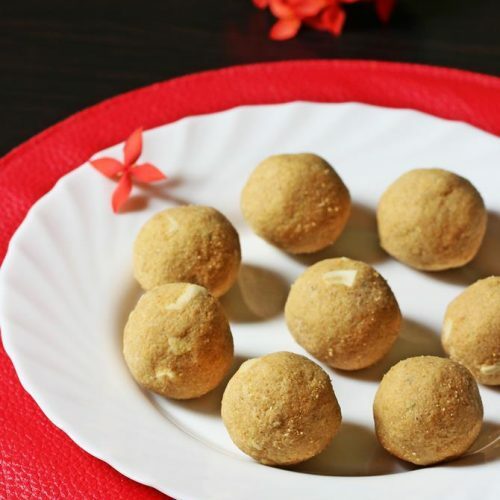 Besan ladoo are delicious sweet balls that are mostly made during festivals & occasions. These are made from gram flour, sugar, cardamom powder, nuts and ghee. Learn to make the best besan ladoos that are full of aroma, non-sticky and do not turn flat. 8. Rava ladoo – Rava ladoo or suji ladoo is a most basic sweet made with semolina, sugar and ghee. This is a andhra style recipe that take less than 30 mins. The ladoos come out with a delicious aroma and crunch. 9. 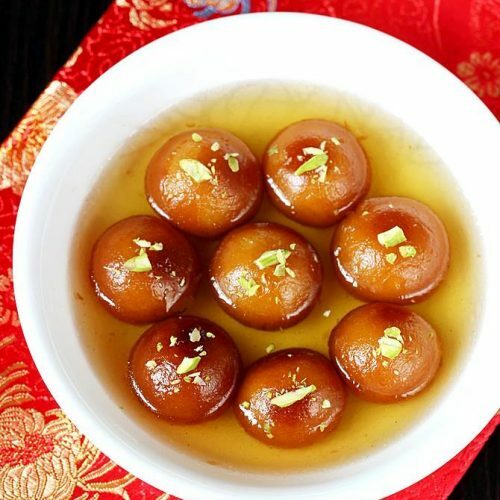 Khoya gulab jamun – The traditional version of gulab jamun made with khoya (mawa) or milk solids. This post shares the recipe along with video to make perfect jamuns that are firm yet soft, delicious and juicy. 10. Kalakand recipe – Kalakand made in 10 minutes with condensed milk and paneer. 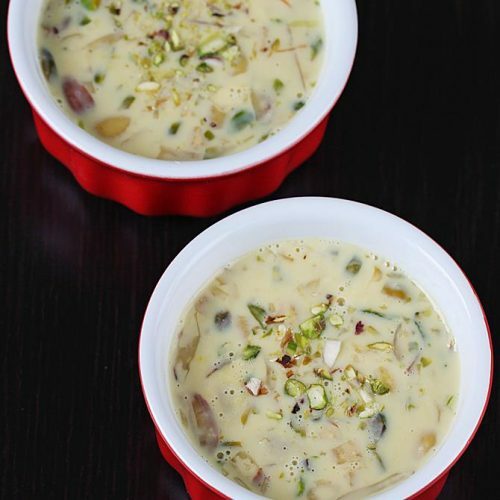 Traditionally kalakand is made by simmering milk for hours until a thick grainy texture is achieved. This is a short cut recipe to make moist, juicy and soft set kalakand with a delicious flavour and great texture. 11. 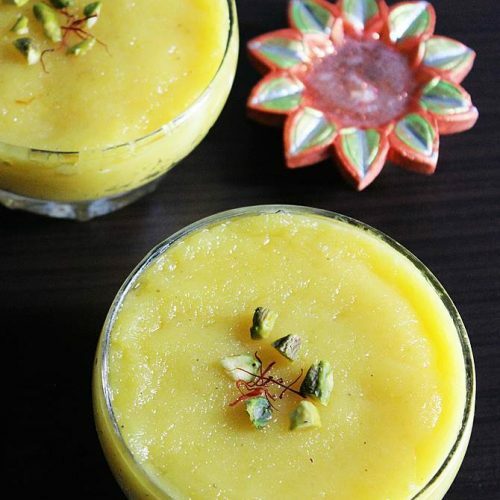 Fruit custard is a eggless dessert made with custard powder or corn starch, milk and fresh fruits. 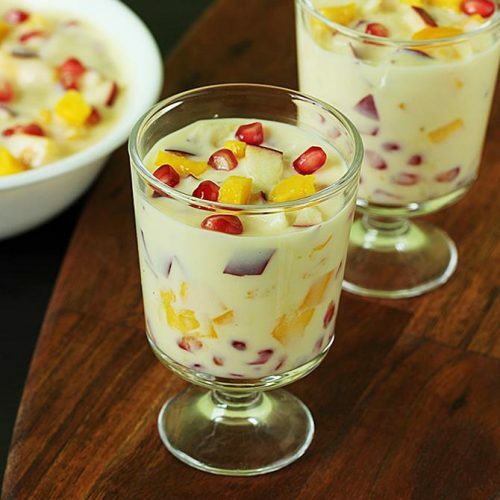 Fruit custard makes for a great dessert during Diwali celebrations. All you need is fresh sweet tasting seasonal fruits. 12. 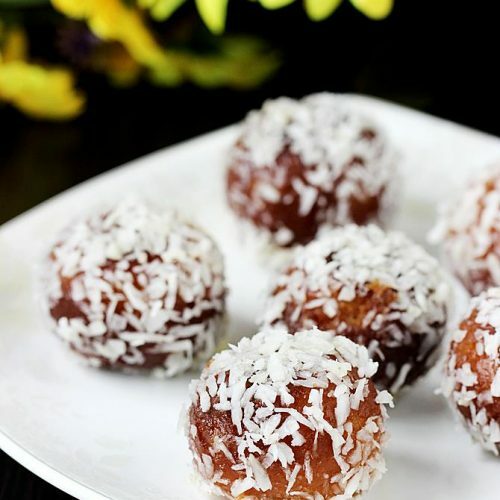 Coconut ladoo recipe using coconut and sugar, made the traditional way for festivals and celebrations. These taste delicious and are super quick to make under 30 mins. These can also be made with jaggery just skip the milk. 13. 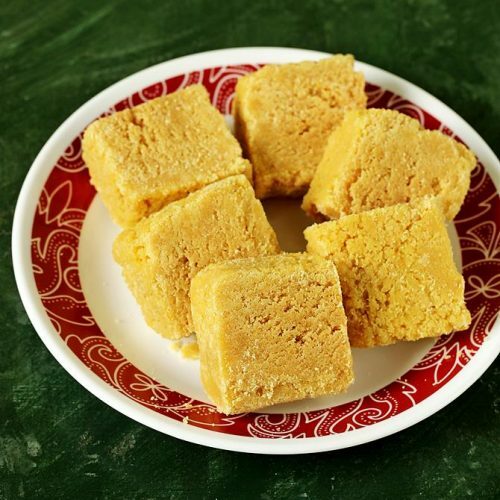 Mysore pak recipe – Mysore pak is a well-known age old classic sweet dish that was invented in the Royal kitchen of the Mysore Maharaja. It is made with gram flour, sugar and a generous amount of ghee. This recipe yields mysore pak that has a delicate crumb with a mouth melting texture and a unique aroma. 14. 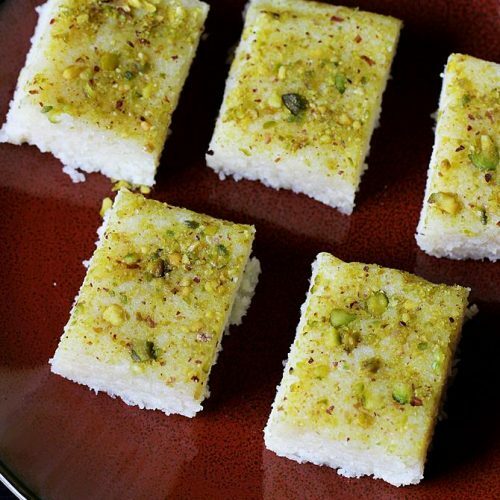 7 cups burfi recipe – 7 cups burfi is also known as 7 cup sweet or 7 cup cake as it is made with 7 measures of ingredients. This is a modified recipe and is made with reduced amount of sugar. This recipe needs no string consistency so it is easy even for beginners. But takes some time to prepare. 15. 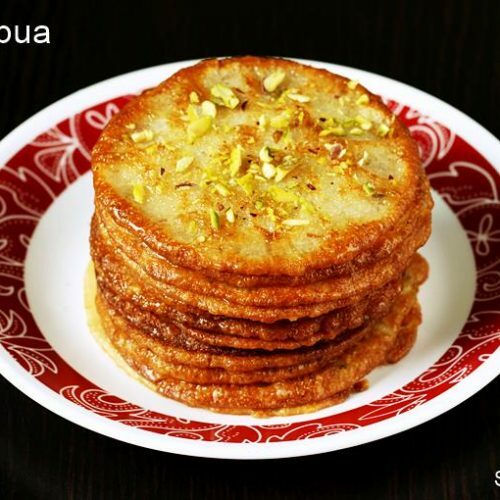 Malpua recipe – Malpua are sweetened pancakes made during Diwali, Navratri and Holi. This post will show you how to make malpuas – thick or thin to suit your taste and liking. 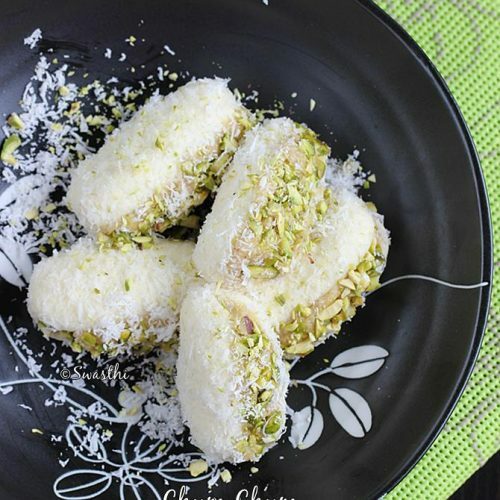 Malpuas are dipped in sugar syrup and garnished with pistachios. They can also be served with rabri or rabdi. 16. Rava kesari is a popular south Indian breakfast dessert made of semolina, ghee and sugar. Rava meaning semolina and kesari refers to saffron color. It can also be made for naivedyam or prashad during puja. This recipe will give you a perfect non sticky and mouth melting rava kesari. 17. Peda is a traditional sweet made by simmering full fat milk until thick and then sweetened with sugar and flavored with cardamom powder. 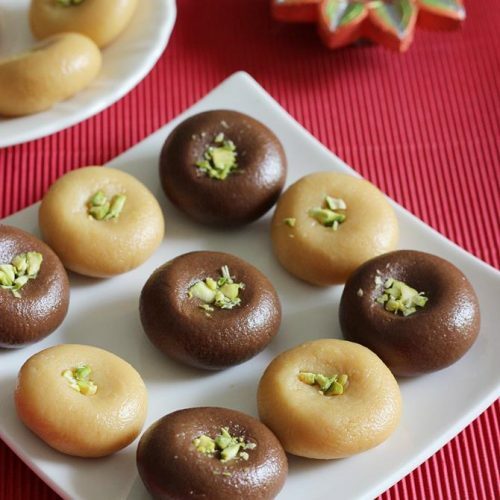 In this post I have shown a cut short method to make quick doodh peda using mawa and sugar. The recipe takes about just 15 mins. 18. 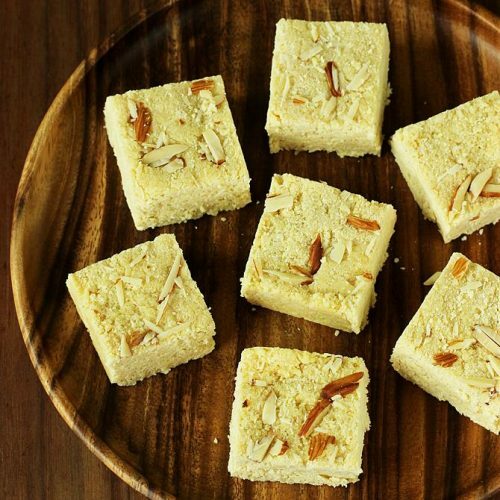 Badam burfi is a delicious Indian almond fudge that is made with blanched almonds and sugar. These are almost similar to the kaju katli but with all the goodness and flavor of almonds. 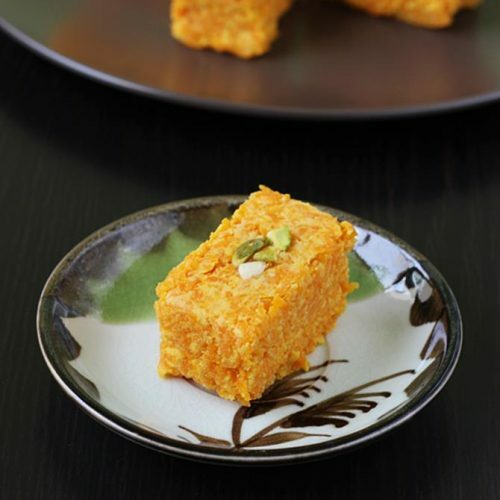 Badam burfi makes a great dessert to gift during festive occasions and celebrations. 19. 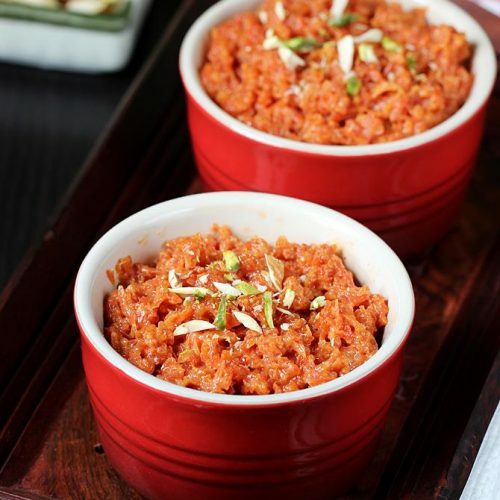 Carrot halwa or gajar ka halwa is a classic sweet dish from Indian cuisine made with carrots, sugar and milk. This recipe shares with you the traditional way of making North Indian gajar ka halwa. 20. 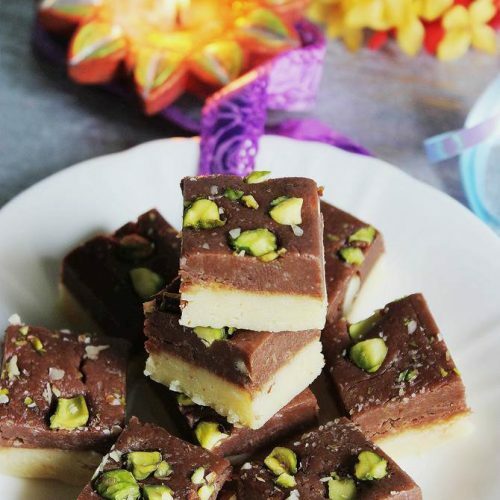 Rava burfi is another delicious sweet that you can try this Diwali. Made with semolina, sugar, ghee, milk and coconut, rava burfi tastes delicious with a milky aroma. 21. 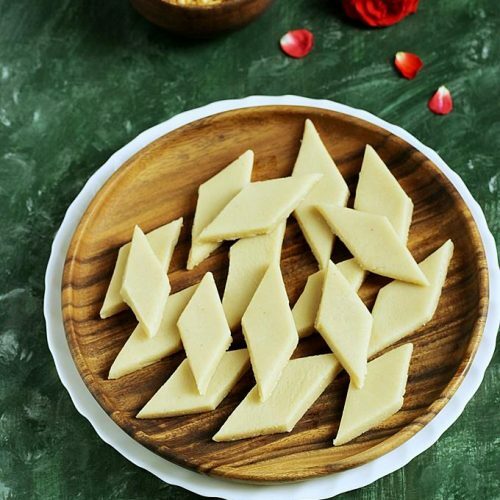 Shankarpali or sweet diamond cuts is a traditional sweet snack made with flour, ghee, sugar and cardamom powder. 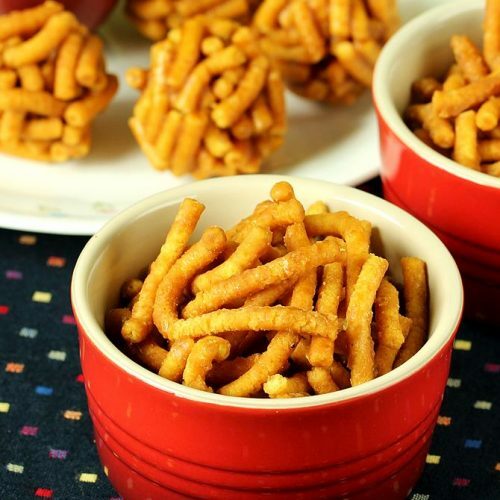 These are a kids’ favorite snack & are made during festivals & holidays. 22. 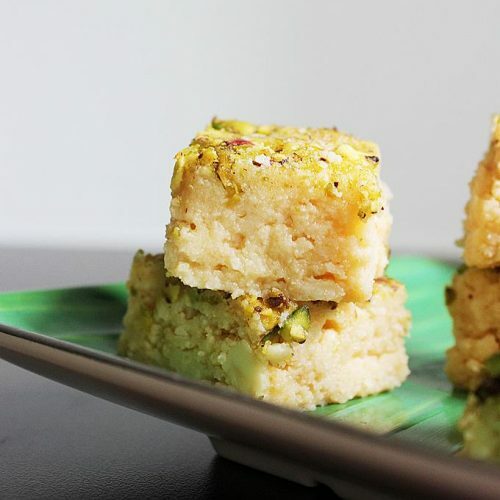 Coconut barfi with mawa is another most commonly found sweet in the sweet shops. This has a rich taste and texture that comes from the mawa or khoya. It is good to make this when you have some mawa left after making a recipe. 23. Karanji is also known as kajjikayalu, karjikai in south Indian states. These are sweet stuffed snack made by deep frying. These are a kids’ favourite sweet snack and are made during festivals and kids’ school holidays. 24. Cham cham sweet or chom chom is a sweet variation to the bengali rasgulla. These are usually made colorful with fancy stuffings and are one popular sweets sold in sweet shops during festive occasions. 25. 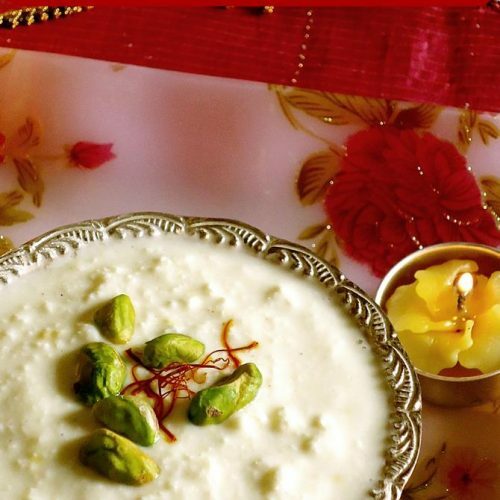 Basundi is a dessert made with full fat milk, sugar and cardamom powder. 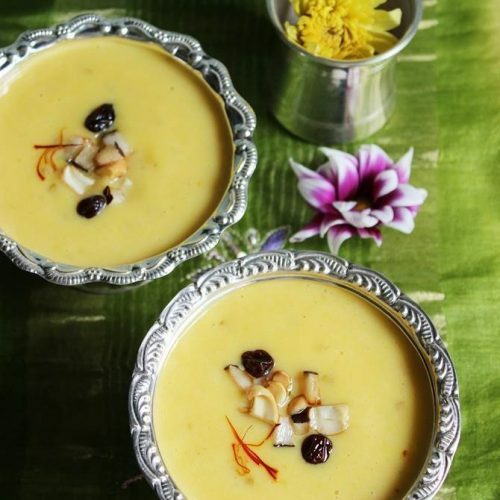 This is a quick recipe of basundi using condensed milk. 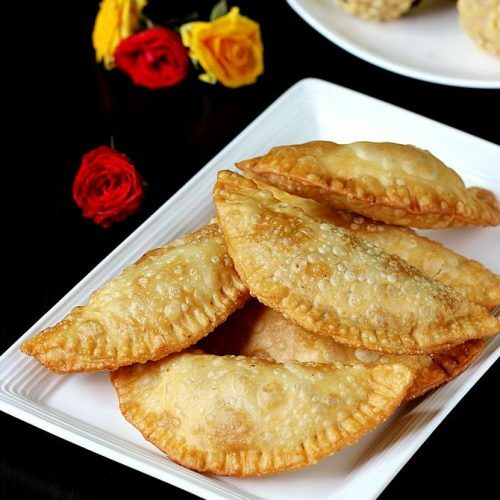 You can serve it with puri or as a chilled dessert or as an after meal desert. It is garnished with nuts. 26. 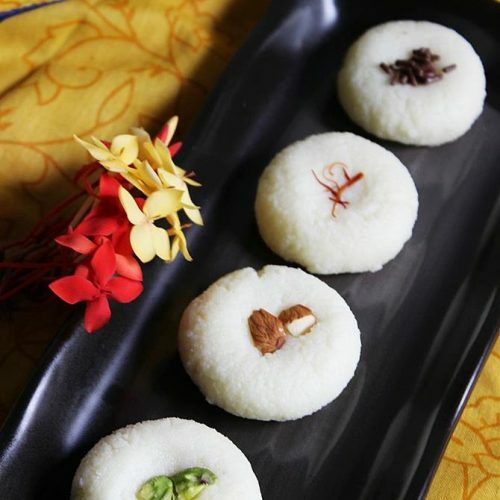 Sandesh or sondesh is a popular Bengali sweet made during festivals. It is made by curdling milk to chenna and then sweetened with powdered sugar. In this post I have shown how to garnish Sandesh with toppings to make them colorful. 27. Rabri is a north Indian sweet dessert made by thickening milk and sugar. Then it is chilled and garnished with nuts. 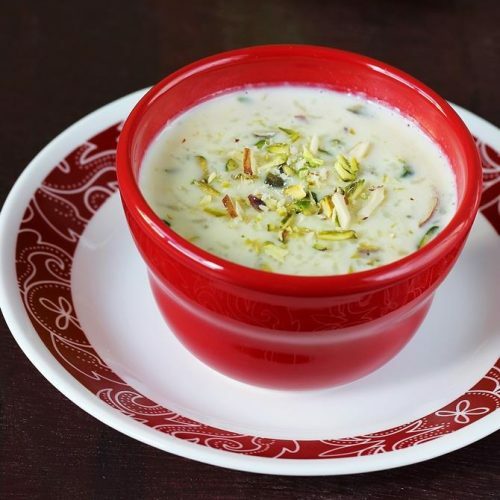 Rabri is usually served on its own or with malpuas, gulab jamun, shahi tukra or jalebi. 28. Chocolate burfi is made using milk solids called as khoya or mawa and cocoa powder. These have been a kids’ favourite at home every Diwali. Do try this if you have kids home. 29. 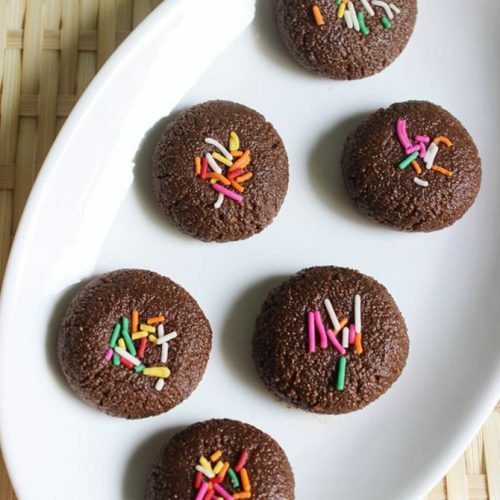 Chocolate sandesh is a variation of the traditional Sandesh. This is made using Indian cottage cheese (paneer), cane sugar and cocoa. 30. Dry gulab jamun can be made with any kind of gulab jamuns you have. All you need to do is just remove them from the syrup and garnish. These bite sized dessert are great to enjoy during festive season. 31. Boondi ladoo is a traditional sweet made with gram flour, ghee and sugar. 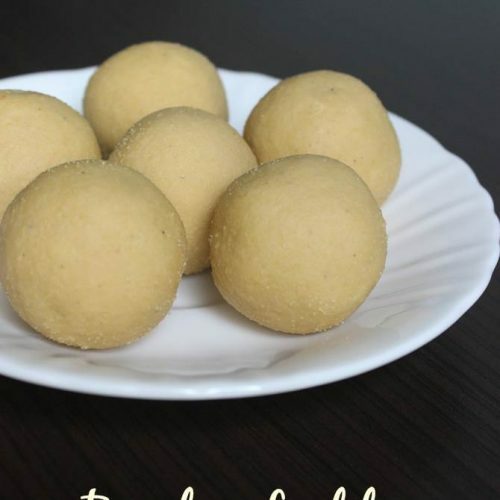 I have shared the recipe of Tirupati boondi ladoo. These are good to make during Diwali or any celebrations and can also be offered during Lakshmi puja. 32. Dry fruit laddu makes a guilt free snack for people of all age groups. 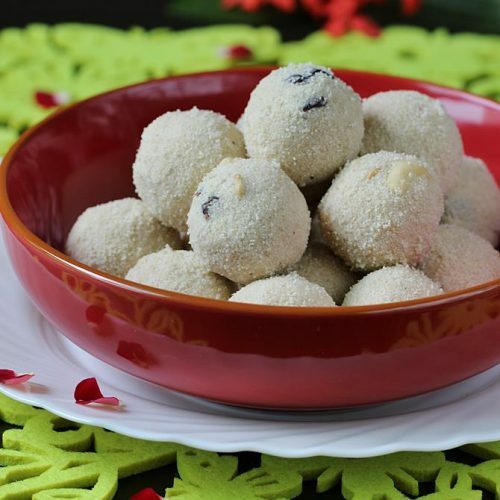 Dry fruit ladoo recipe uses no added sugar. 33. Gond ladoo is a North Indian sweet enjoyed during the winters. Made of edible gum, wheat flour, ghee, nuts and jaggery these are delicious with amazing health benefits. Make these this Diwali for your loved ones. 34. Thambittu unde are traditional ladoos from Karnataka cuisine. These are made for festivals and are also offered during the Pooja. 35. Maladu also known as maa laddu is made using fried gram, sugar and ghee. A quick delight whenever you crave for a sweet. These make a great treat to share with friends. You can also gift these as they can be made easily. 36. Dates sesame ladoo are sugar free and taste delicious. 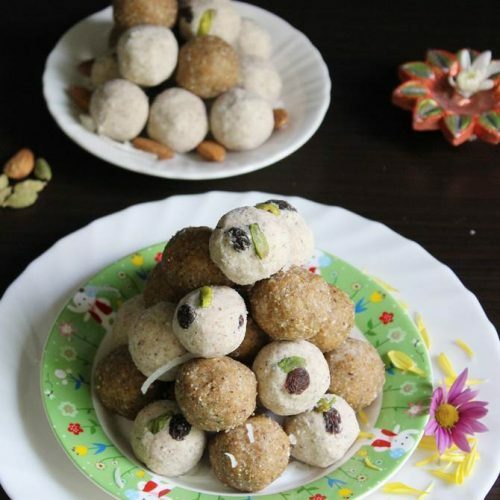 If you are looking for a healthy dessert this festive season then these ladoos are a must try. 37. Kova ladoo is popular delicacy from Andhra cuisine known as kova kajji kajjikaya. These are mawa ladoo stuffed with sweetened coconut balls. This is a beginners recipe and can be easily made at home. 38. 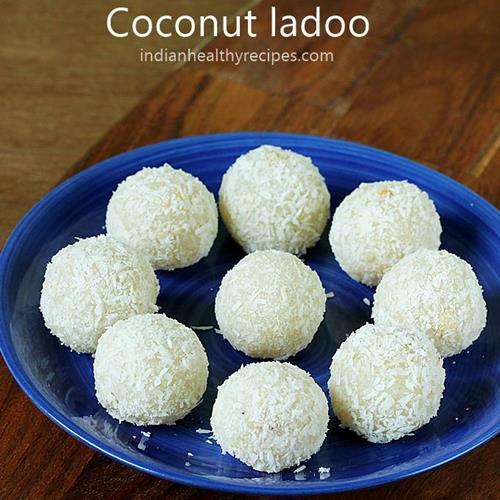 Coconut ladoo with condensed milk is a 10 mins recipe that yields you a delicious party treat. 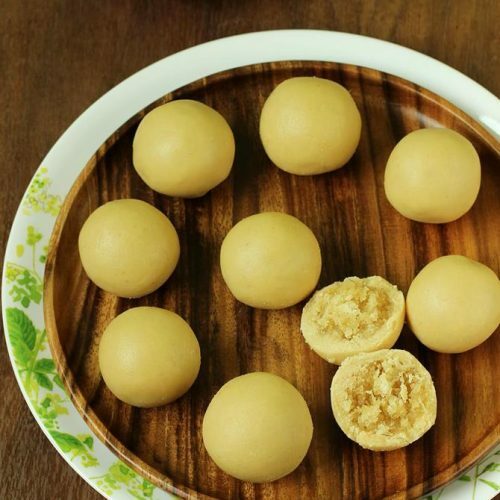 These bite sized coconut ladoos are addictive and will light up your festive menu. 39. Bandar laddu is a traditional sweet from Andhra cuisine. It is made with gram flour, ghee and sugar. Bandar ladoo is most commonly made during special occasions. This recipe will help you to make the ladoos that taste authentic. 40. Badam ladoo are made with almonds, jaggery and other basic ingredients. These are a great source of nutrition and can be had as a snack. 41. 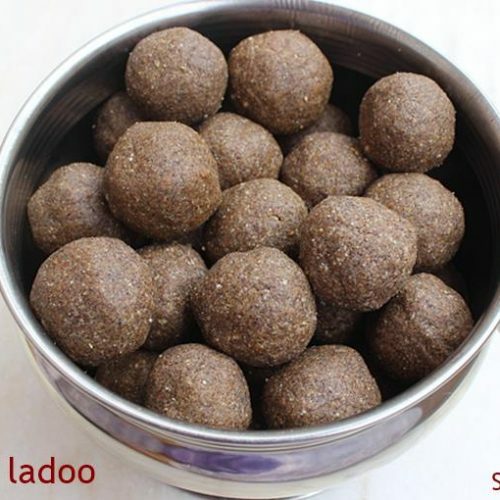 Ragi ladoo recipe Quick ragi ladoo or nachni ladoo recipe made with nuts and seeds using less ghee. These make a great snack for kids and grown ups alike. 42. Dates ladduHealthy dates and nut balls in just 15 minutes. 43. 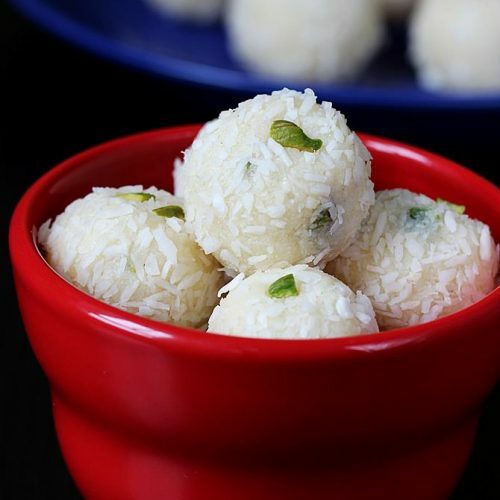 Malai ladoo is a milk based sweet made with full fat milk and sugar. 44. 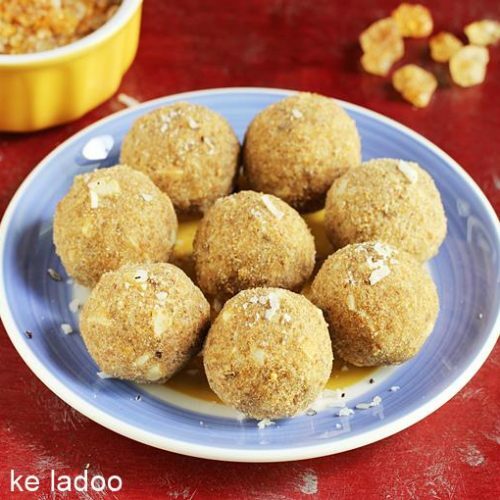 Peanut ladoo are crunchy peanut balls that are healthy and delicious energy boosters. These are healthy, delicious and easy to make. Peanut ladoo are made with roasted peanuts and jaggery. 45. 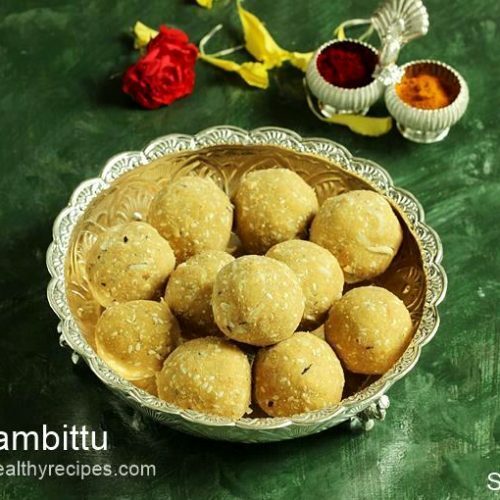 Sesame seeds ladooHealthy til ke ladoo or Sesame seeds ladoo with jaggery and peanuts. 46. Ragi laddu recipe using jaggery (finger millet flour Balls) Finger millet or red millet sweet balls made with unrefined sweetener, coconut,peanuts and sesame. 47. Aval laddu or poha ladoo are sweet balls made from flattened rice or poha, jaggery and ghee. These can be eaten as a snack and can also be offered during puja. 48. 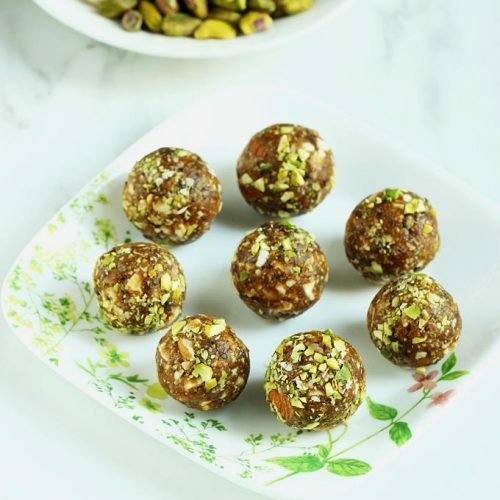 Oats dry fruits ladoo – If you are on a weight loss diet these are amazing to try as they are made with oats, dry fruits and nuts. There is no sugar or jaggery used in the recipe. 49. Oats sesame ladoo are another great treat to enjoy if you are looking for a guilt free sweet. 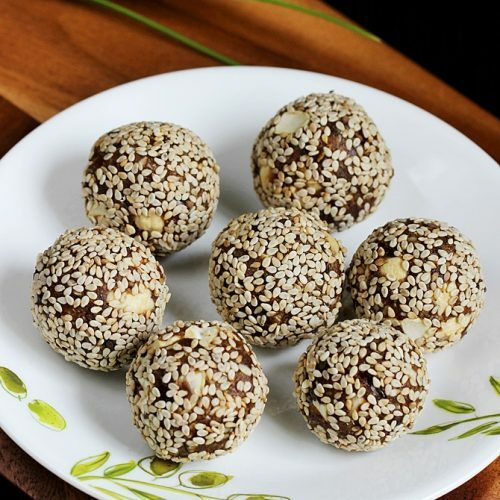 Made with jaggery, sesame and oats these are healthy and taste delicious. 50. Moong dal ladoo are sweetened lentil flour balls usually made for festivals. These are high in protein and are great for anyone looking to include more protein in the diet. 51. 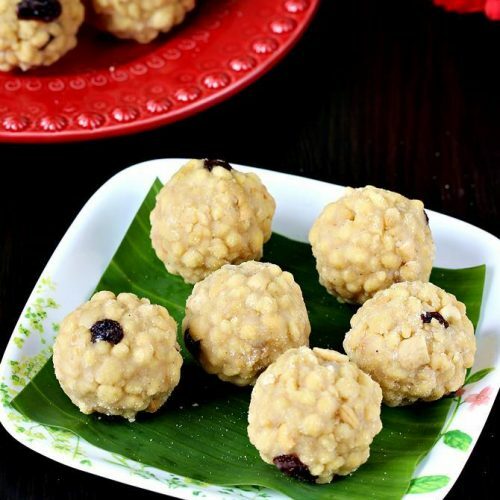 Coconut oats laddu made with jaggery, rolled oats and coconut. 52. Atta ladoo are sweet balls made of whole wheat, sugar and ghee. You can also make these with jaggery. 53. Walnut ladoo made with no ghee, no sugar healthy sweet. 54. 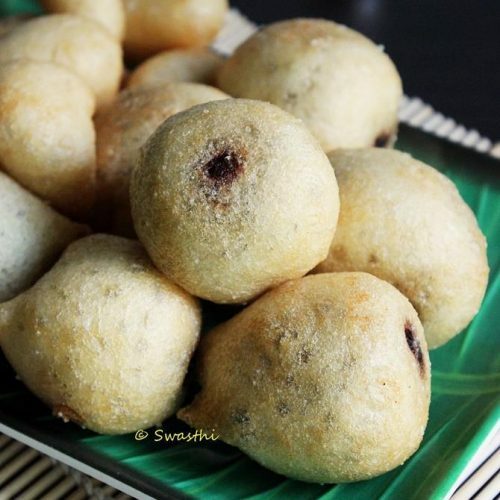 Sunnundalu recipe with sugar or jaggery – Sunnundalu or minapa sunnundalu are a festive delight made in Andhra Pradesh for most festivals. They are made of urad dal, sugar and ghee. These ladoos are high in protein and fats. 55. Urad dal ladoo recipe are a variation to the popular andhra minapa sunnundalu. This recipe requires lesser ghee for binding. 56. Rice payasam recipe – Rice payasam or paramannam is a pudding that is prepared with rice, cow’s milk, ghee and sugar or jaggery. 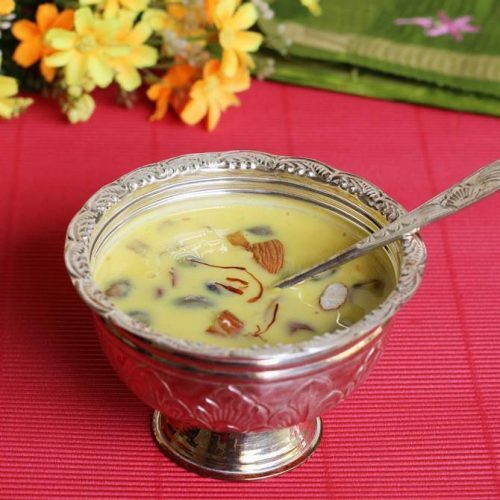 It is also called as annam payasam, ksheerannam or bellam paramannam if prepared using jaggery. It is prepared during festivals to offer it to the Gods as naivedyam. 57. 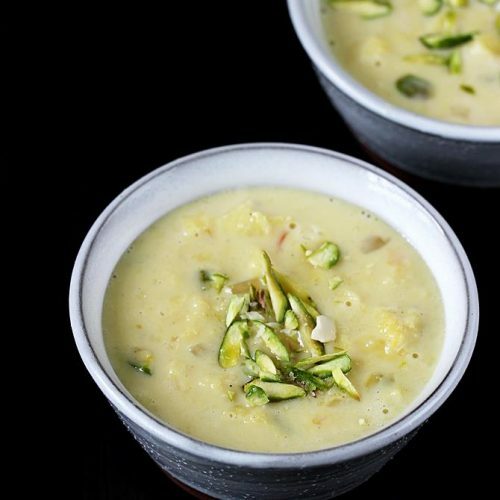 Rice kheer is a Indian pudding made with milk, rice and sugar. It is garnished with nuts. This is a dessert made on occasions and celebrations. 58. 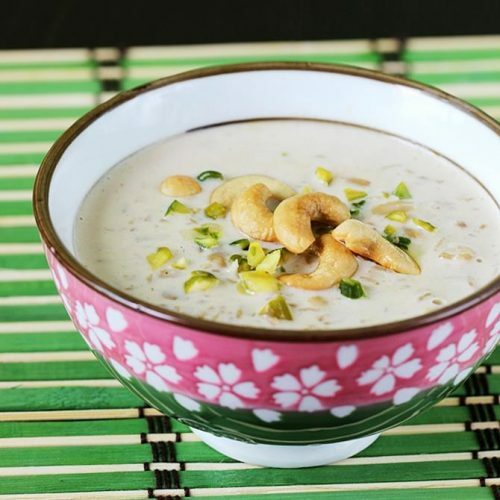 Badam kheer or almond kheer is a Indian pudding made of blanched and ground almonds. This is great to enjoy as a after meal dessert. 59. 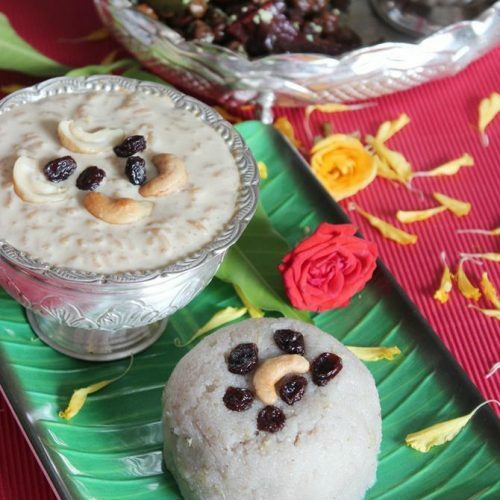 Sweet pongal is a south Indian traditional dish also known as chakkara pongali or sakkarai Pongal. It is made of rice, moong dal, ghee and jaggery. It is prepared during festivals and auspicious occasions to offer as naivedyam. 60. 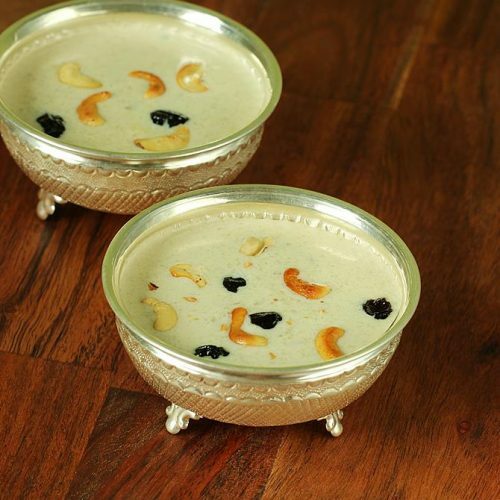 Semiya payasam is a popular Andhra style easy to make pudding with vermicelli, milk and sugar. This is a recipe for beginners and newbies. 61. 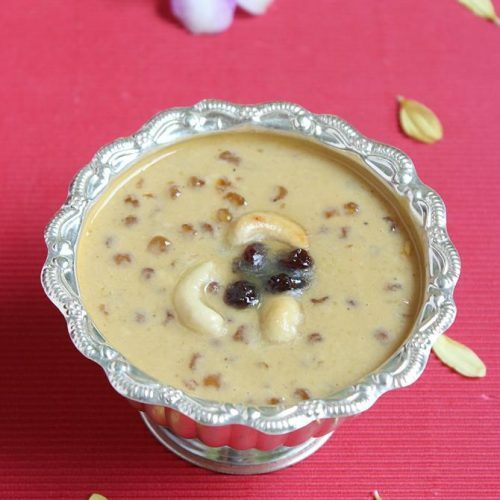 Aval payasam or Atukula payasam or Aval payasam is a simple pudding made with flattened rice or beaten rice flakes. 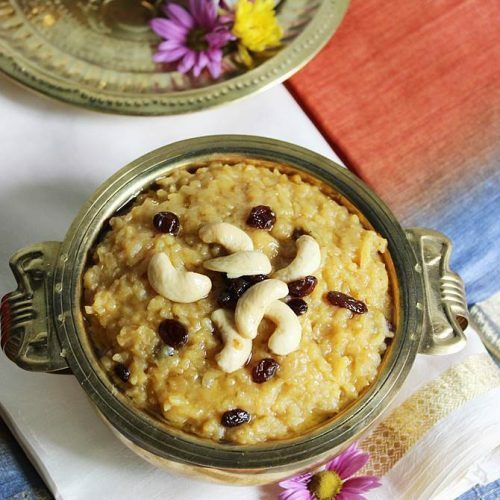 It is the made the traditional way using jaggery, ghee and nuts. 62. 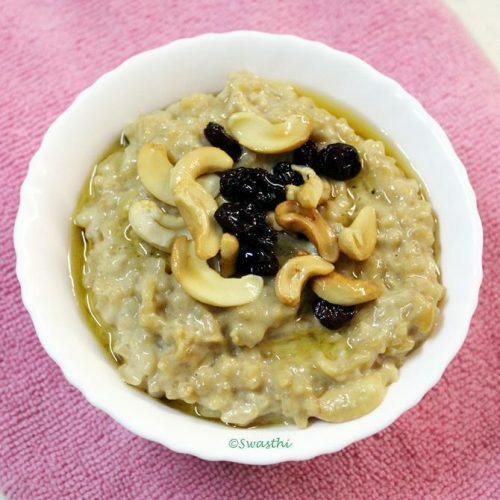 Oats kheer is an Indian style oatmeal milk pudding garnished with nuts and ghee. 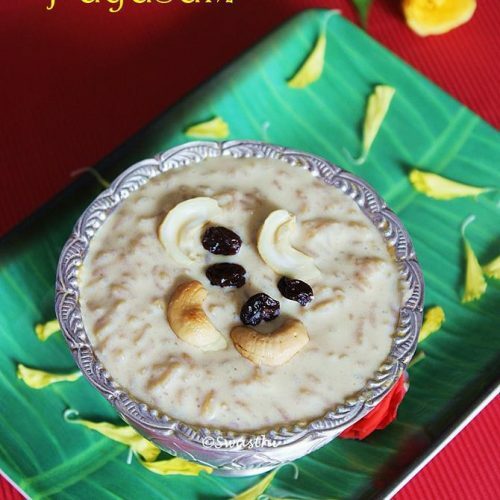 63. javvarisi payasam or sago, sagibiyyam payasam or kheer is made with tapioca pearls, milk, jaggery or sugar and ghee. 64. 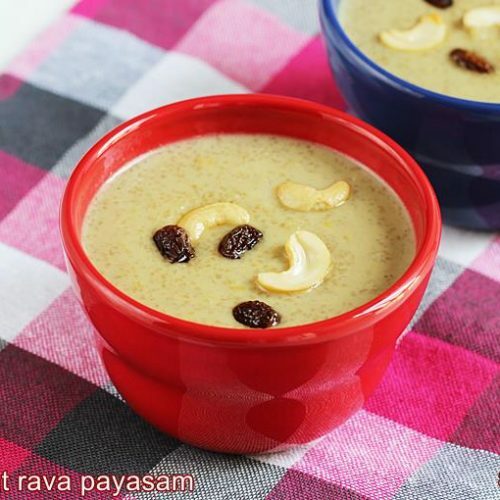 Wheat rava payasam made with godhuma rava, milk and jaggery. 65. Bellam paramannam also called as payasam in some parts of andhra is a festive delight made by simmering moong dal, rice and milk. It is sweetened with jaggery. 66. Senaga pappu payasam or Channa dal kheer is a sweet dish made of split bengal gram, jaggery , milk and ghee. 67. kaddu ki kheer or pumpkin payasam is a simple, quick and delicious pudding made with golden pumpkin. 68. Paneer payasam or paneer kheer made using condensed milk and paneer. Condensed milk can be substituted with thick almond milk. The recipe takes only 10 mins if you have the paneer ready. 69. Moong dal payasam also known as pasi paruppu payasam or pesara pappu payasam is a traditional sweet dish made using moong dal. This recipe can be made using coconut milk or regular milk. 70. 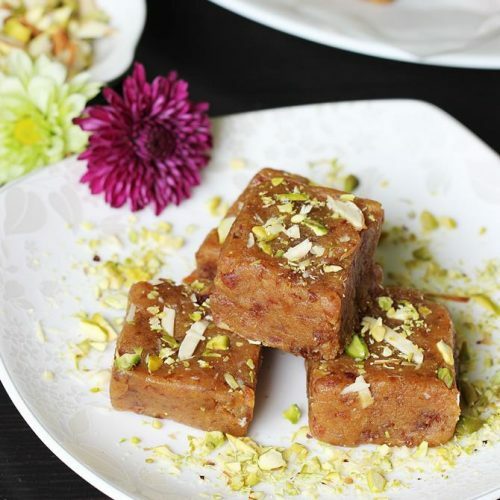 Dates halwa or burfi is a quick, delicious, rich and healthy festive dessert. No sugar is added to this and is sweetened with dates. Great to enjoy during festive fastings. 71. Orange kesari is a variation to the rava kesari or suji ka halwa made with orange juice instead of water. 72. 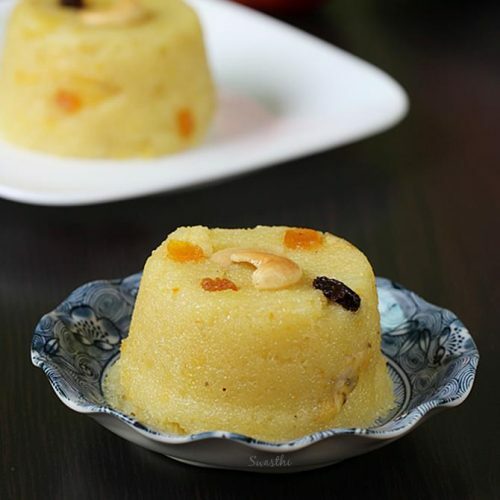 Milk rava kesari or paala kesari is a south Indian pudding made with milk, semolina, sugar and clarified butter. 73. Suji ka halwa is a simple Indian sweet prepared with semolina/ rava, sugar and ghee. 74. 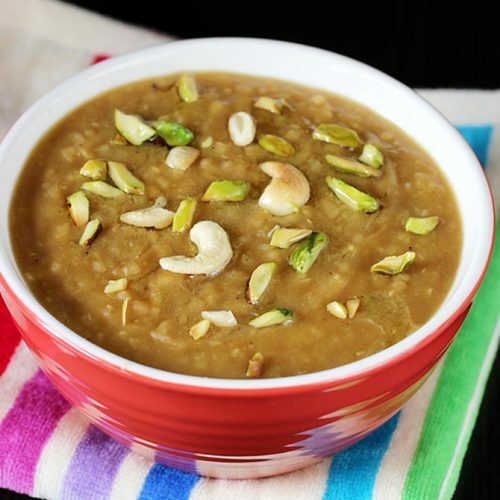 Moong Dal Halwa made with skinned split yellow dal or green gram dal, ghee and sugar. The recipe shared in this post is from Rajasthani cuisine often made during festivals like Diwali & holi. 75. 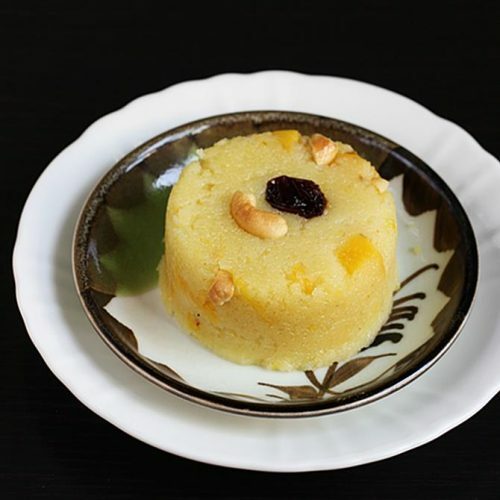 Fruit kesari is a semolina pudding made with mixed fruits and nuts. This is great to enjoy as an after meal dessert. 76. 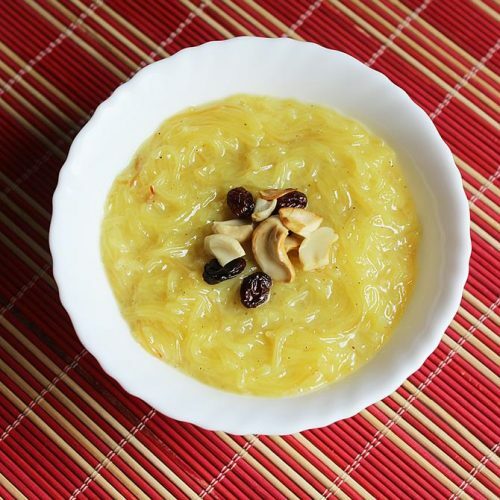 Pineapple sheera or pineapple halwa is a sweet dessert from Karnataka cuisine. It is usually eaten as a breakfast dessert and is mostly served in tiffin centres. 77. 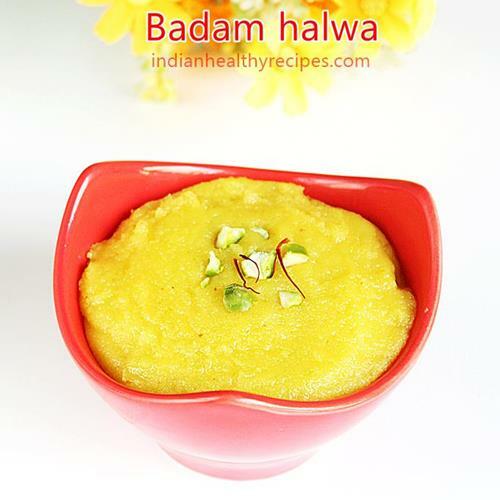 Badam halwa or almond halwa is an Indian dessert prepared with ground almonds, sugar and milk. It is a festive delight and is great to include in a special meal. 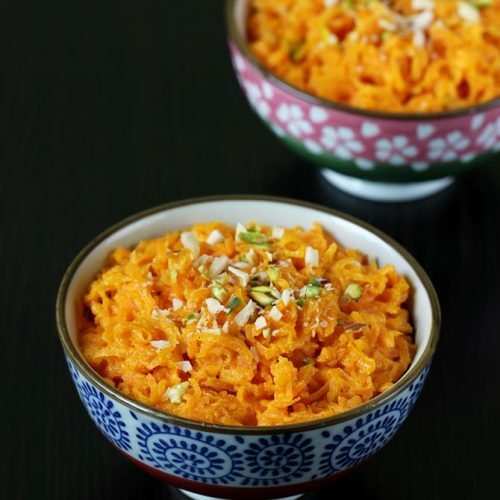 – A short cut method to making traditional carrot halwa using condensed milk and fresh grated carrots. This can be made in a jiffy if you have both these ingredients. 79. 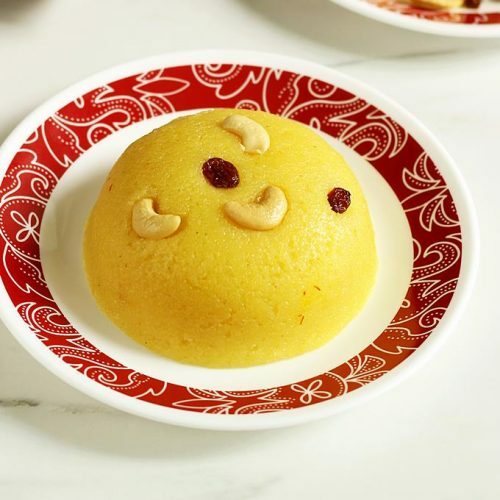 Banana sheera or banana halwa is an Indian dessert that is offered to the Gods or deities during Ganesh puja, Varalakshmi Vratham, Lakshmi Puja and for Satyanarayana puja. 80. 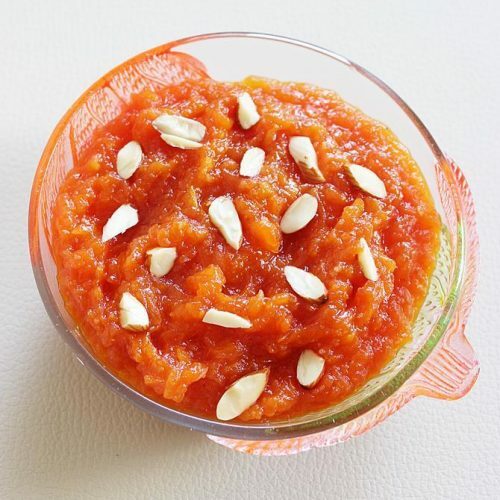 Papaya halwa is a dessert prepared with papaya. It can be made with ripe or raw papaya. 81. 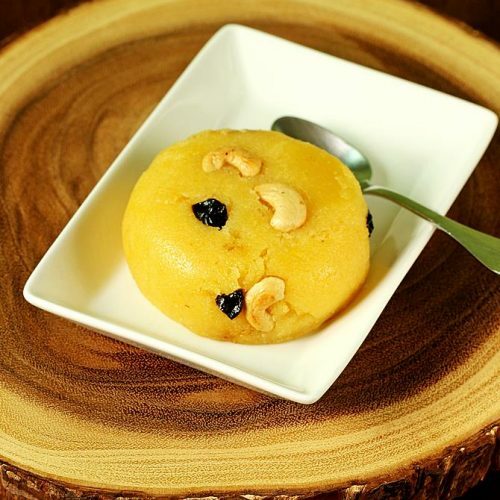 Moong dal jaggery halwa is a healthy dessert made with yellow dal and jaggery. 82. 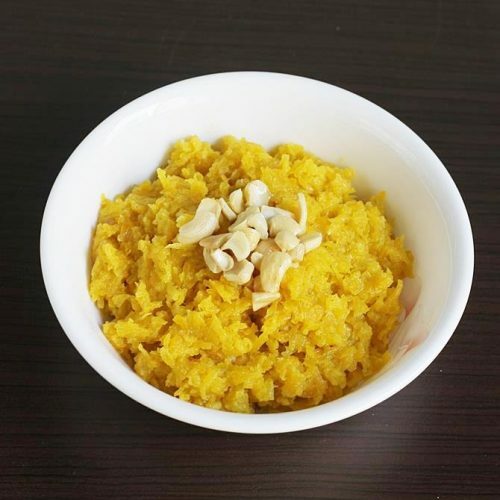 Pumpkin halwa or kaddu ka halwa is made with golden pumpkin and sugar. 83. 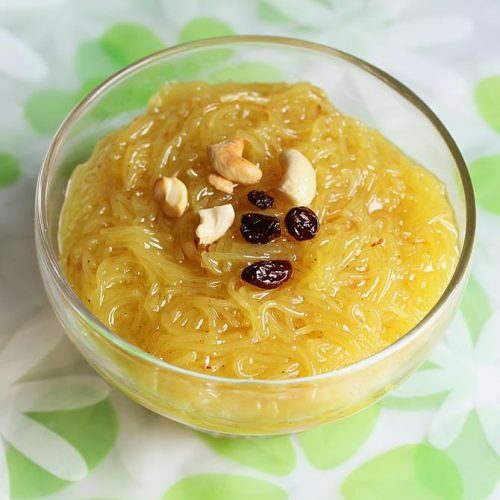 Semiya kesari or vermicelli kesari is a south Indian dessert made similar to the rava kesari. 84. 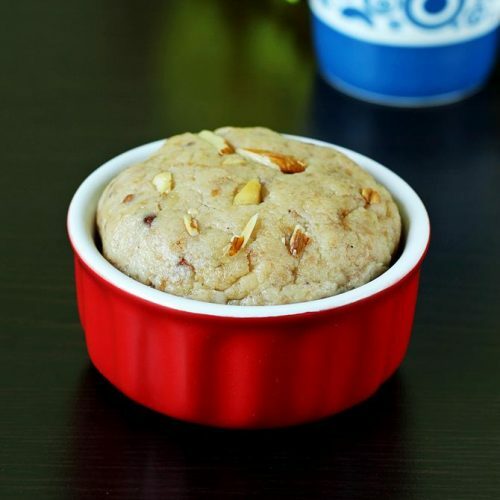 Bread halwa is a delicious dessert from hyderabadi cuisine usually served as a after meal dessert. This is a good way to use up your left over bread. 86. 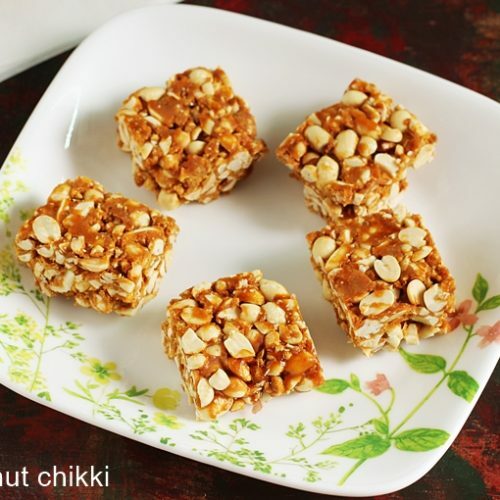 Peanut Chikki is a traditional sweet snack made with roasted peanuts & jaggery. This recipe shows you how to make perfect chikki at home. 87. 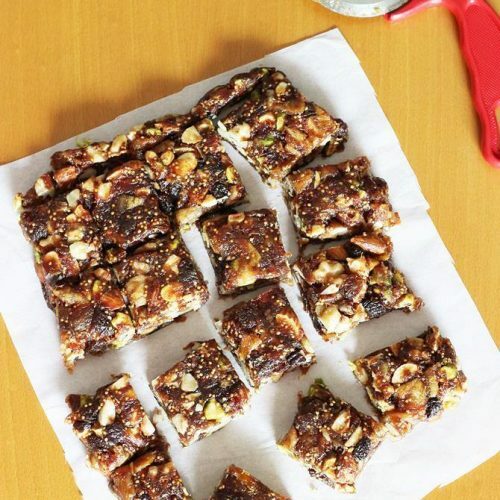 Anjeer barfi is figs and dates fudge that can be made in just 20 minutes. Healthy and delicious treat made without any additional sweetener. 88. Gajar kalakand is an innovative, delicious & rich dish made using condensed milk and carrots. 90. 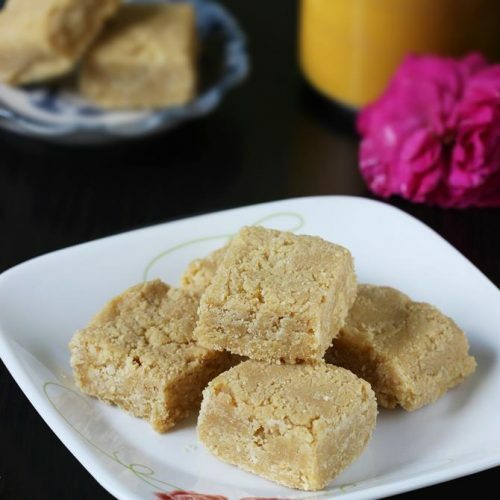 Almond burfi recipe with jaggery – Delicious barfi made using almonds and jaggery. 92. 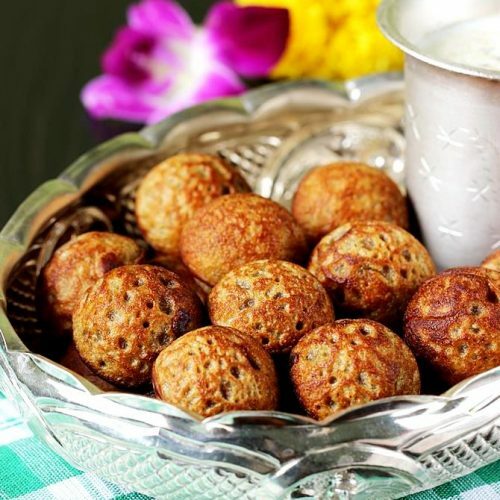 Poornam boorelu are sweet stuffed deep fried balls that are offered to Goddess Lakshmi and Durga . These are also prepared during most festivals and special occasions in Andhra pradesh. Burelu are also called as suziyan in other parts of south India. 93. 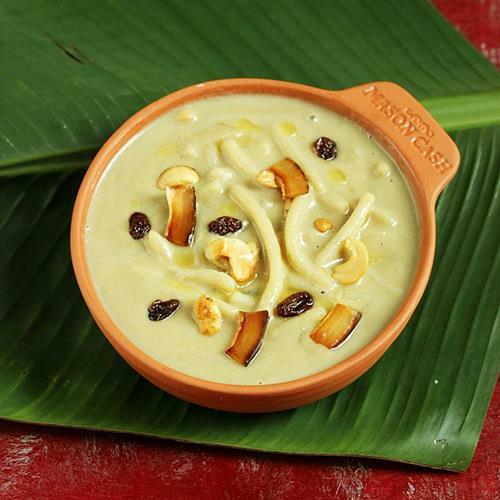 Pala thalikalu is a traditional payasam recipe made with handmade rice noodles. 94. 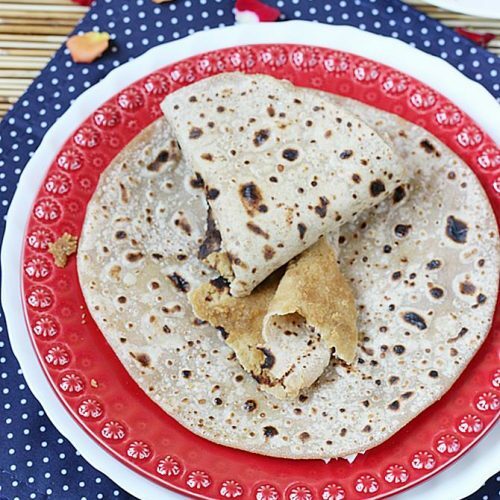 Bobbatlu or Puran poli recipe made with whole wheat flour or atta. 95. 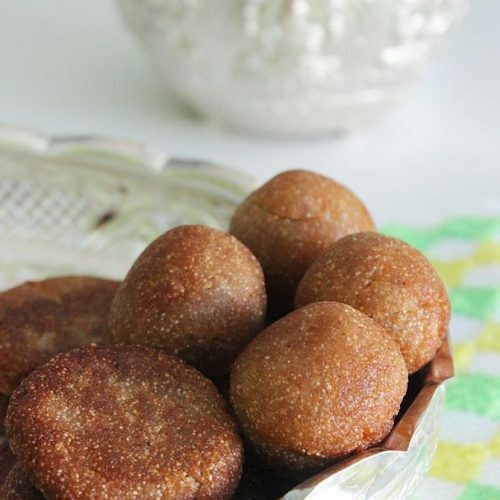 Instant sweet paniyaram made with whole wheat flour, jaggery and coconut. 96. 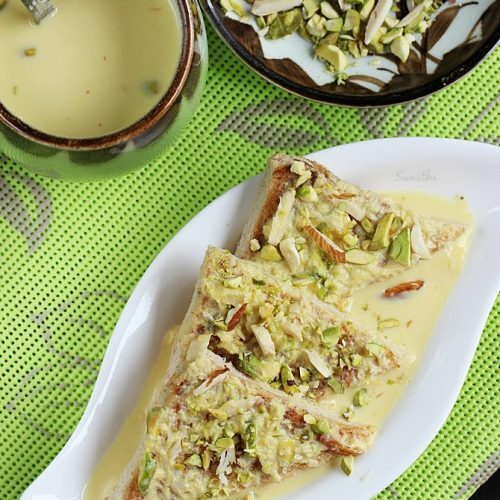 Shahi tukda is a delicious dessert from Hyderabadi cuisine. It is made of bread, milk, sugar and a generous amount of nuts. 97. 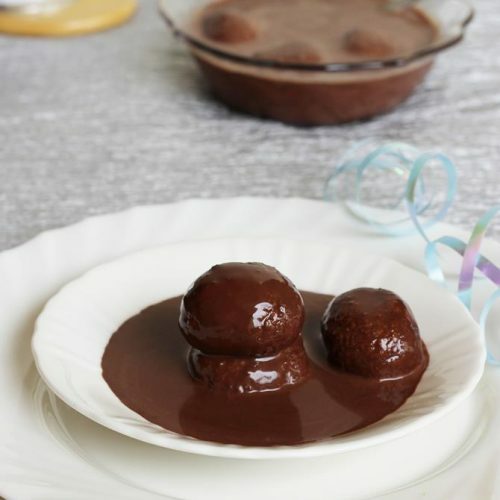 Chocolate rasmalai recipe Chocolate rasmalai is a variation to popular bengali sweet rasmalai. This is not a traditional dessert but something unique I created for my chocoholic kids. It is super quick to make as the recipe uses tinned rasgullas and milkmaid which saves a lot of time. Chocolate rasmalai is great for kids’ parties. 98. 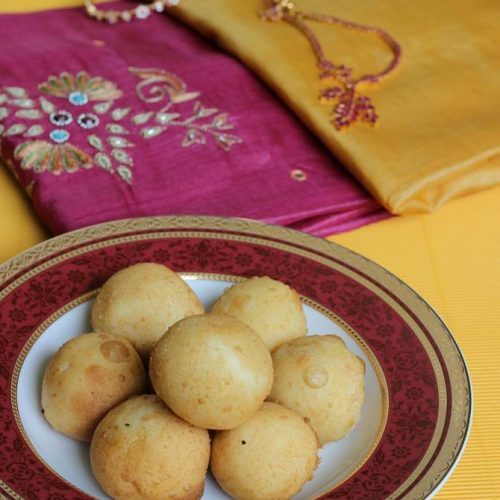 Rava appalu recipe are festive sweets that are prepared to offer as naivedhyam . 99. 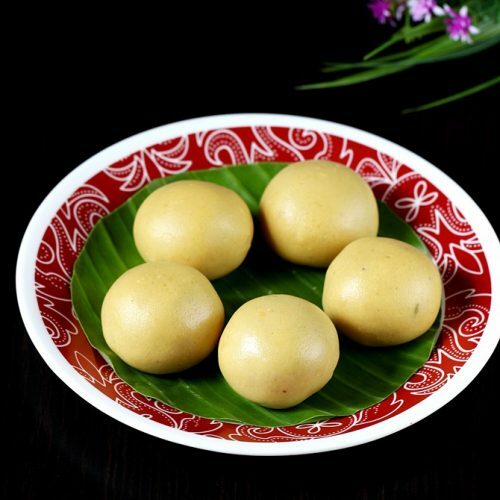 Sweet murukku are a traditional sweet made using plain murukku and jaggery syrup.